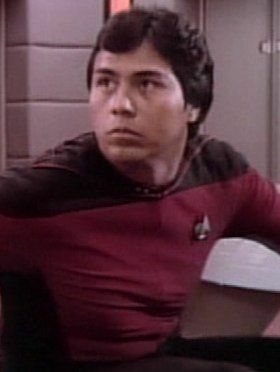 n the early 2360s decade, Torres served aboard the USS Firenze as a flight controller along with his lover, Miranda Kadohata. In 2364, they were both assigned to the Galaxy-class Enterprise, under the command of Captain Jean-Luc Picard. En route to the Enterprise's first mission to Deneb IV, the starship was visited by Q. When Torres attempted to draw his hand phaser after Q's intrusion, he was frozen by the entity. He was eventually thawed by Doctor Ismail Asenzi and his medical team. The incident with Q impacted Ricardo and he was forced to start seeing Counselor Troi on a regular basis.